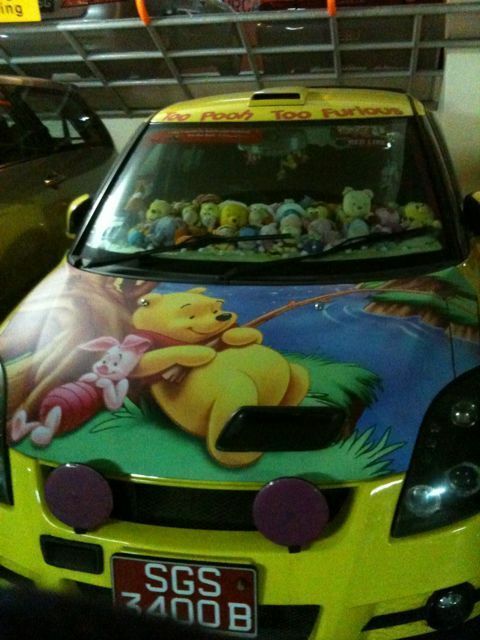 Spotted at the carpark, this yellow Suzuki is intricately adorned with Winnie the Pooh & friends from its interior to the exterior. 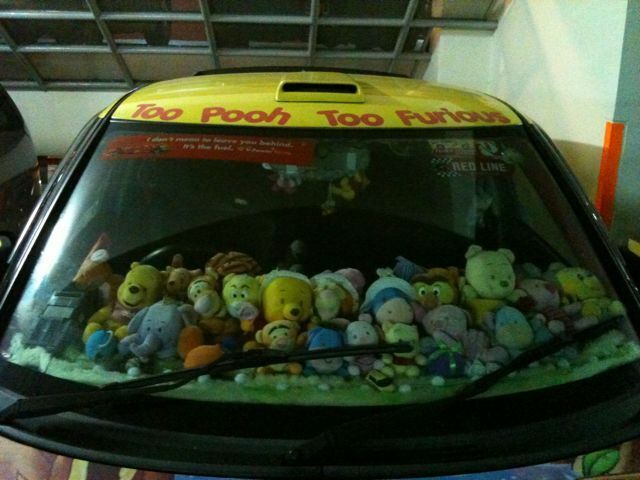 Hahaha..No.1 Pooh fan definitely a first for me. I’ve seen a Hello Kitty version interior-exterior (all-PINK no less!) at the Vivo City carpark once before. Think SM even took a photo. 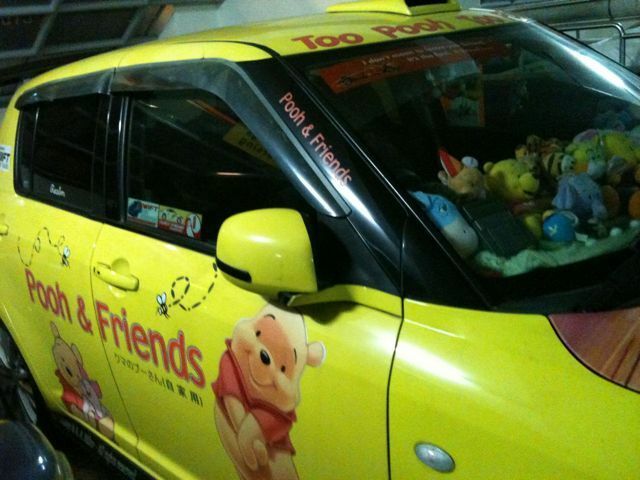 Can you imagine a guy driving either? 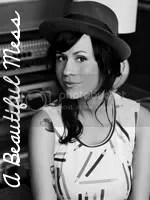 Totally oh-em-gee! Hello Kitty? It’s a little too much for my personal liking! Ahem.